Since the internet connections are not always available, private and reliable, most of the cryptocurrency users need an alternative way to connect to the network. With this concerns, the New York-based startup GoTenna, founded in the year 2012 by the Brazilian siblings, Jorge and Daniela Perdomo, is partnering with the Samourai Wallet to launch an app that will allow the user to send bitcoin payments without the use of an internet connection. 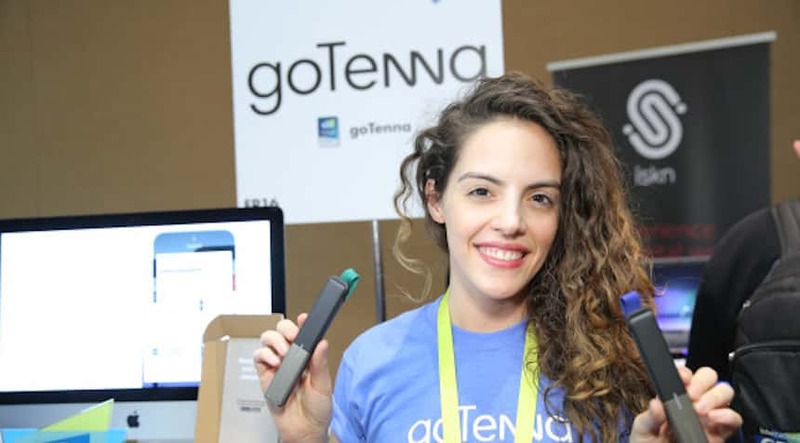 Announced Monday, the txTenna app will enable the users to sync up their mobile with the use of a GoTenna device, which costs $179 per pair, then toggle the wallet of the app’s settings in sending bitcoin and transact offline. “You need to spend your Bitcoin even in disaster areas,” said by Richard Meyers, a GoTenna engineer. He also cited about the excellent job done by the Perdomo siblings in Puerto Rico, where the GoTenna devices helped people in reconnecting after the Hurricane Maria. He also added that as long as there is a way to charge the phone, it can be used for communicating and for future Bitcoin payment and transaction purposes. The signal needs to be within a mile of another goTenna device to transmit the message across the mesh network- a decade old system used for using the internet without a landline or without a Wi-Fi. So far, the app has sold more than 100,000 devices that let users tap into the mesh network. If the bitcoin user (offline) is within a mile from another active device, the transaction could bounce across the mesh till it reaches a user with an internet connection. The bitcoin app also offers an alternative which is more censorship-resistant, according to Meyers. The system also uses an unlicensed and free radio frequency. Stepping back, various projects since the Cold War have used mobile radio setups and cheap to broadcast across the oceans and firewalls. Last year, Nick Szabo, a renowned cryptographer, and Elaine Ou, a Blockchain engineer, published a proposal describing how weak-signal radio transmissions could help boost the diversity and security of connections across the network of Bitcoin. Feasibly, the essential feature of the txTenna is its ability to make a cryptocurrency wallet to be an open source project. It was the Samourai Wallet’s open source communication tools that first inspired the goTennna’s team to launch their bitcoin startup. The code used in txTenna could also possible applied to iOS wallet apps as well.